Here’s the real question: Why settle for either/or—passion or profit—when you can go for both/and? In Episode 018 of The Live It Forward Show, Kent Julian addresses 4 questions you should ask yourself if you want to discover how to do what you love and make money at it. This episode is all about embracing a both/and mindset so that you can create work that fits your passion! Show Notes—Want to Do What You Love and Make Money At It? Ask Yourself 4 Questions. 2. Quick review of the Killer Keynote Conference and the Speak it Forward Boot Camp. 3. Want to do what you love and make money at it? 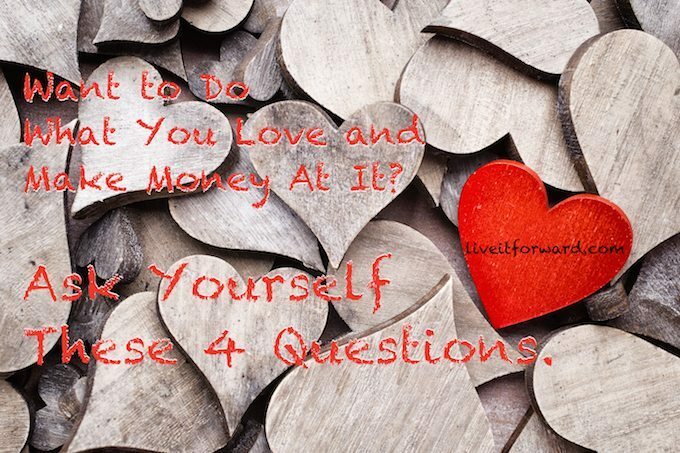 Ask yourself these 4 questions. Can you reshape your childhood dreams? Are you dealing with reality? Thank you for listening to this episode of The Live It Forward Show. Do you have any feedback, questions, or ideas? Feel free to leave a note in the comment section below. If you enjoyed this episode, be sure to share it by using the social media buttons at the top or bottom of this post or by clicking one of the tweets above. Sharing is caring!